Darse cuenta de la existencia de cosas y/o propuestas que al final resultan interesantes, no siempre se da con la rapidez que al menos yo hubiese querido, peor aún, cuando descubres que lo que tarde en descubrir resulta muy interesante. Por algún tiempo, alrededor de un año, he estado leyendo varios artículos en algunos blog, de algunos compañeros steemians, entre ellos a @stephenkendal, con incluso esporádicas visitas a su página principal, pero es ahora cuando apenas comienzo a ver el potencial de la cadena de bloques de Digibyte. A veces te encegueces. 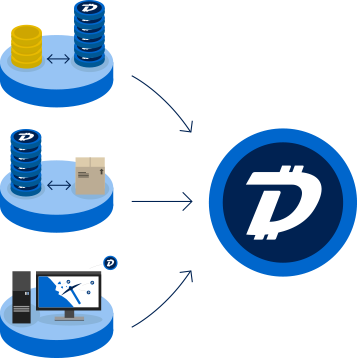 Comprender que Digibyte resulta una de las alternativas más solidas del mercado criptográfico, que es un dignisimo competidor de Bitcoin, que resulta en un potencial futuro y ya presente activo en el intercambio de productos, en el resguardo de valor y construcción de diferentes tipos de aplicaciones, nos lleva a darnos cuenta de lo útil que este proyecto podría resultar para cada uno de nosotros, así pertenezcamos a cualquier sociedad. Muchas de las características técnicas son suficientemente mostradas en muchos post por mí leídos, así que en cuanto a ese tema lo invito a buscar esa información, por eso en este post no voy a hacer ese tipo de descripción ya que técnicamente es bien sabido de las capacidades que puede brindar Digibyte. Pero es importante destacar que Digibyte puede ser minado por 5 diferentes algoritmos, tres de los cuales no funcionan con asic, dando un impulso refrescante al tema de la descentralización, situación que se vuelve un problema en otras cryptos “principales”, por otro lado la velocidad transaccional es bastante alta dando y aportando calidad a su cadena de bloques, mostrando mayor escalabilidad que bitcoin o ethereum entre otras. 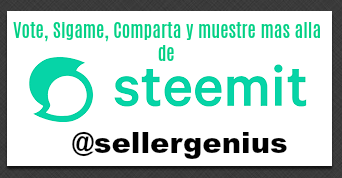 Pero más allá de lo que se diga considero que la principal virtud evolutiva de Digibyte ha sido su inmensa y potente paciencia con que se mueve, eso es una gran ventaja, es quizás su ingrediente gerencial de mayor peso, y aquí me refiero al capitán de este barco que lleva por nombre Digibyte Blockchain, el líder del equipo Jared Tate quien ha demostrado ser un emprendedor a carta cabal, que demuestra saber cual es su objetivo, esto evidentemente abrió la brecha de mercado la cual goza en este momento Digibyte. Digibyte resulta en una gran oportunidad, si lo pensamos así es, para cualquier ciudadano del planeta, pero evidentemente es más para los que vivimos, trabajamos y contribuimos con nuestras sociedades, que pertenecen a los llamados mercados emergentes y más aún para los que vivimos en sociedades con mercados deprimidos por ejemplo Venezuela mi pais, que como todos buscan soluciones financieras, que son las llaves para el desarrollo del aporte que todos debemos a la humanidad, pero que fieles a sus intereses gobiernos y sus aliados no desean que sé de por razones más que obvias. 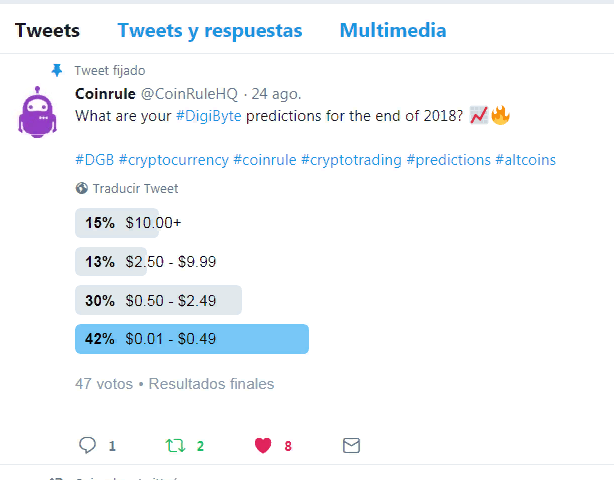 Dejar de inventar seudo soluciones, para buscar encontrar el camino correcto, para mí Digibyte es uno de estos caminos, cada quien como individuo tiene la facultad de fomentar y al mismo tiempo comenzar a andar, cada quien como individuos, sin esperar, la adopción de uso, ese es el camino. 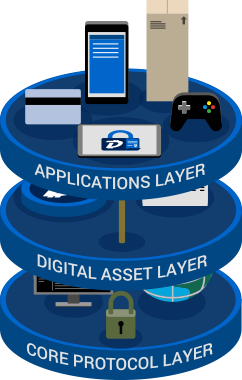 Todas las imagenes pertenecen a https://digibyte.io, excepto el tweet. Realize the existence of things and / or proposals that are interesting in the end, not always with the speed that at least I had wanted, even worse, when you discover that what you discover is very interesting. For some time, about a year, I have been reading several articles on some blog, from some fellow steemians, including @stephenkendal, with even sporadic visits to their home page, but it is now when I just start to see the potential of the Digibyte blockchain. Sometimes you get blinded. 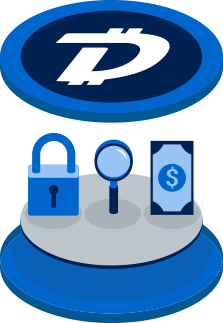 Understand that Digibyte is one of the most solid alternatives crypto market, which is a very worthy competitor to Bitcoin, resulting in a potential future and already present active in the exchange of products, in safeguarding value and construction of different types of applications, leads us to realize how useful this project could be for each one of us, even if we belong to any society. Many of the technical characteristics are sufficiently shown in many post by me read, so regarding this topic I invite you to look for that information, so in this post I will not make that kind of description since it is technically well known from the capabilities that Digibyte can provide. But it is important to note that Digibyte can be undermined by 5 different algorithms, three of which do not work with ASIC, giving a refreshing impulse to the decentralization issue, a situation that becomes a problem in other "main" cryptos, on the other hand transactional speed is quite high giving and providing quality to its blockchain, showing greater scalability than bitcoin or ethereum among others. It is also remarkable, something that is said a lot by those who do technical analysis in which they emphasize the fact that Digibyte in terms of its price, had a first rest period, from February 2014 until the end of 2017 when the crypto influencer Jhon McAffe described it in his twitter account as an important project within the world of encrypted currencies, at that time he made a first jump in his price of 120% in about 12 hours, from there to here, much has been done I talked about that project and it has evolved, to the point that some say that Digibyte is a kind of Bitcoin reinforced waiting for its stellar moment, then it is interesting the prediction, @coinrule in your Twitter account, about the next market prices of Digibyte for the end of 2018. 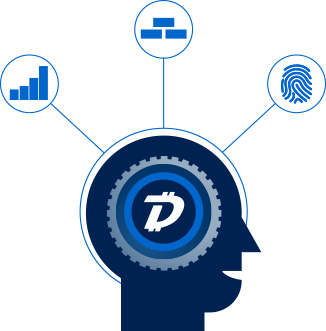 But beyond what is said, I think that the main evolutionary virtue of Digibyte has been his immense and powerful patience with which he moves, that is a great advantage, it is perhaps his most important managerial ingredient, and here I am referring to the captain of this ship is called Digibyte Blockchain, the team leader Jared Tate who has proven to be an entrepreneur through and through, demonstrating know which is your goal, this obviously opened the market gap which currently enjoys Digibyte. 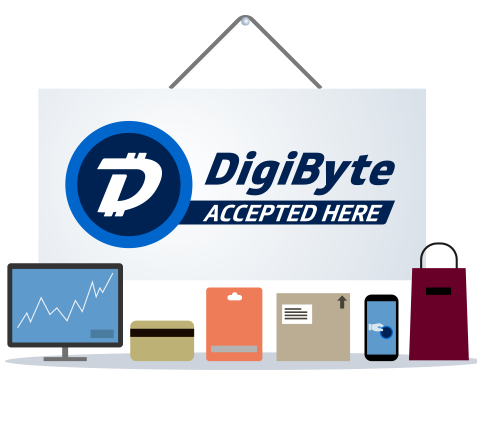 Digibyte is a great opportunity, if we think so, for any citizen of the planet, but obviously it is more for those of us who live, work and contribute to our societies, which belong to the so called emerging markets and even more so for those of us who live in societies with depressed markets such as Venezuela my country, which like all seek financial solutions, which are the keys to the development of the contribution we all owe to humanity, but faithful to their interests governments and their allies do not want me to know for reasons more than obvious. Stop inventing pseudo solutions, to find the right way, for me Digibyte is one of these paths, each as an individual has the faculty to encourage and at the same time start walking, each as individuals, without waiting, the adoption of use, that is the way. All images belong to https://digibyte.io, except tweet.